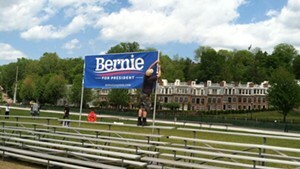 When Sen. Bernie Sanders (I-Vt.) formally launches his presidential campaign Tuesday evening at Burlington's Waterfront Park, he'll likely deliver a stump speech unlike anything you've ever heard before. If you've heard it all before, consider spicing it up a bit. 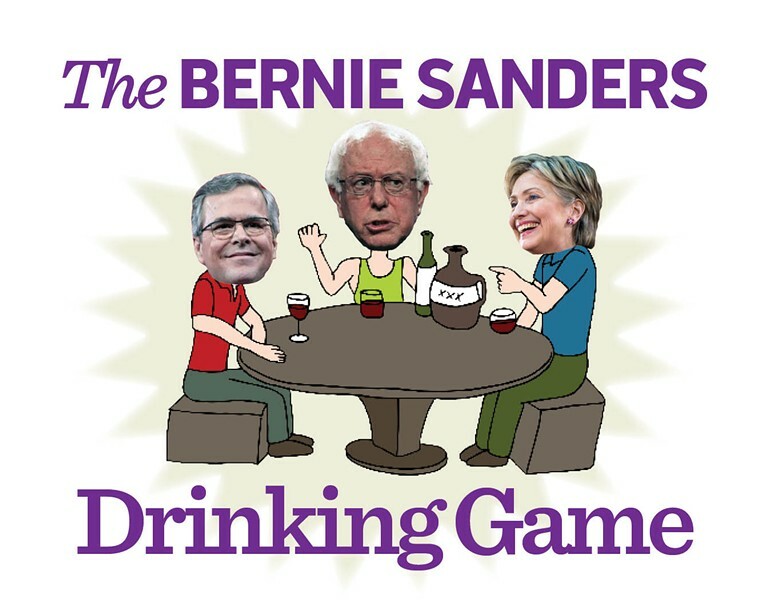 Bring a road soda to the shore of Lake Champlain and play the Bernie Sanders Drinking Game — brought to you by none other than Seven Days. If you miss the speech and find yourself bored at home, play the game to Sanders' 8.5-hour faux-libuster or our Bernie Beat archive of historical Sanders coverage. Says "outrageous," "enormous," "disastrous," "unconscionable," "obscene," "massive," "fundamentally wrong," "extremely distressing" or, of course, "yuuuge"
Disparages Wall Street or "the big banks" (Drink twice if he refers to them as "too big to fail." Drink again if he discusses their "greed, recklessness and illegal behavior." Begins a sentence with, "At a time when"
Argues against "balancing the budget on the backs of the poor, the elderly, the sick and the children"